When you’re at Reesor’s in Stouffville pick up one of our fresh entrees, such as our new Four Cheese Penne with Fresh Ontario Asparagus (in the photo above). Slip it from the foil tin into one of your own casserole dishes. Bake it in the oven or heat gently in the microwave. A minute or two under the oven broiler can give it extra colour. Serve to your family or guests and they may never know you didn’t make it from scratch. Drink your greens! Try our newest soup made with Ontario asparagus. Enjoy a regular or mini-sized quiche made with fresh Ontario asparagus. Baking this pudding in a clear dish lets you see the magic of the syrup going down to the bottom while the cake floats on top. Serving with a dollop of sour cream is a nice contrast for this VERY sweet, but easy to make dessert. Grease an 8”x8” glass or metal baking dish. Using a mixer, beat the sugar and butter until they are light and fluffy. Beat in the egg. Add the flour mixture to the egg mixture in 3 parts, alternating with the milk in 2 parts, until smooth and combined. Scrape the batter into the prepared dish. Combine the syrup ingredients and bring the mixture to a boil for two minutes. Cool for one minute, then carefully pour the sauce over the batter, avoiding making holes in the batter. Do not stir. Bake in centre of the preheated oven until golden and the centre of the cake bounces back when touched, about 40 minutes. When it comes out of the oven it’s quite runny, but the syrup thickens as it cools a bit. Dust with icing sugar as a garnish. Serve warm, with sour cream, ice-cream or whipped cream if desired. You might win a gift box–please come fill out a ballot during our 10th anniversary celebrations! As a way of saying thanks to our customers for your support for the past 10 years we have three gift baskets for you to enter your name to win this week. Just come in to the store and fill out a ballot–it’s free and no purchase is required. We’ll be drawing a winner on Thurs., Fri. and Sat. So, come in early to enter for the best chance of winning a basket containing maple syrup, pancake mix, granola, cookies and more. 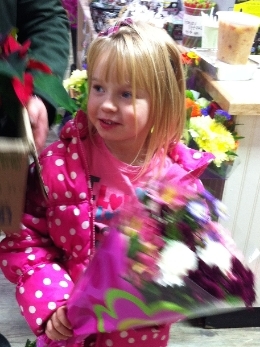 Reesor’s Market & Bakery provides solutions to many of the people on your Christmas and holiday gift list. 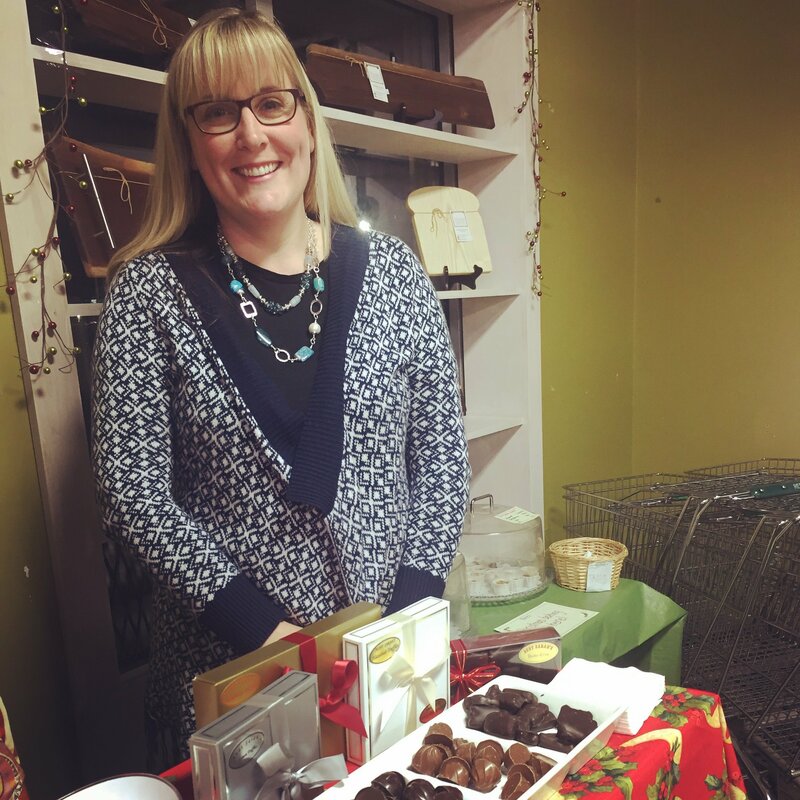 Whether you are in need of family, friend, employee or client gifts, we are here to help. 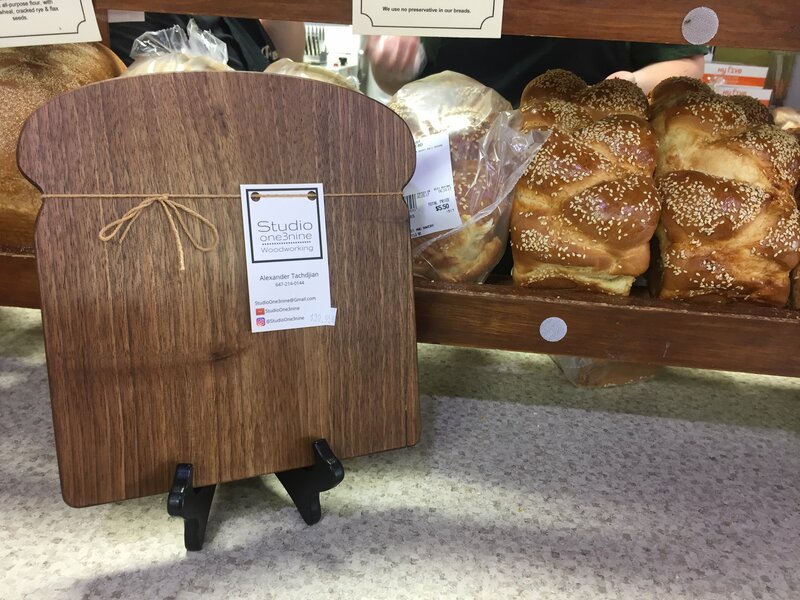 We have seven gift boxes ranging in price from $30 to $100 or create your own custom gift box including your favourite Reesor’s baking, coffee, maple syrup or anything else in the store. We offer 10% off when you purchase 10 or more gift boxes. 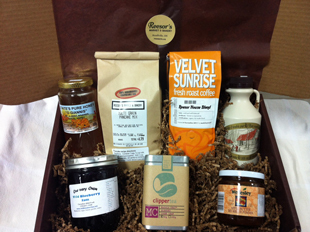 We can ship your gift boxes anywhere in the GTA. Consider giving our lovely gift certificates so your family and friends can pick out their favourite soups, casseroles, fresh produce, cheese, meat or flowers at their leisure. 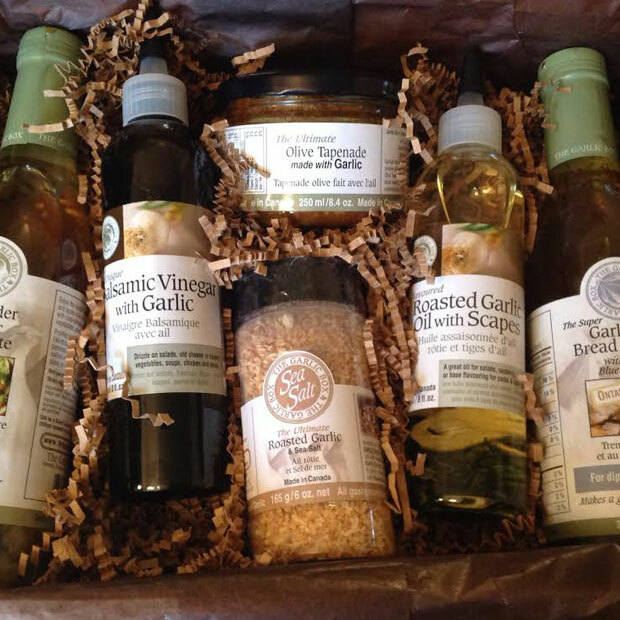 Do you have vegetarians or people who are avoiding gluten on your gift list? We have a wide range of vegetarian and GF foods too. Is it our imagination or do flowers look the most beautiful during winter in Canada? From young to old most everyone appreciates receiving flowers, but it’s in the wintertime that flowers really bring a smile to your recipient’s face and bring life and freshness to your home. 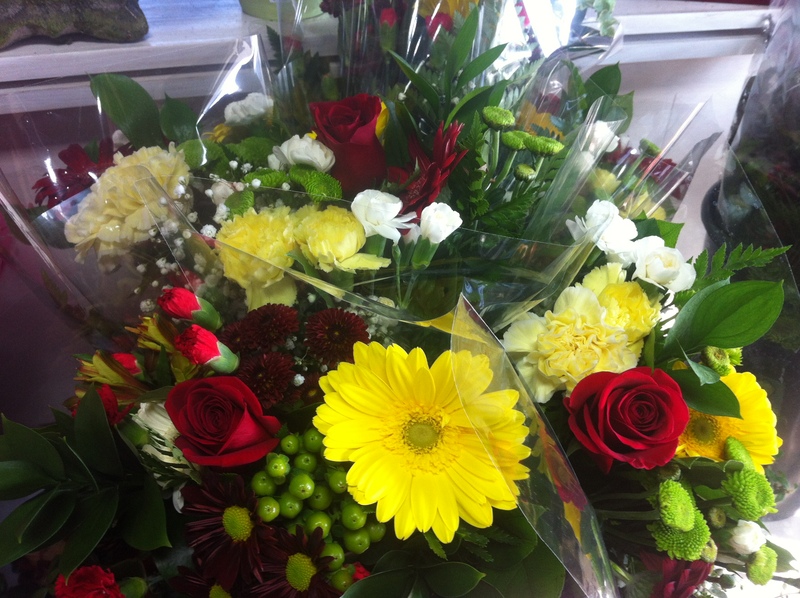 Keep checking at Reesor’s throughout December for cut flowers, seasonal centrepieces, potted outdoor urns, poinsettias and potted plants. It has been an unusual growing season. It started off late, stayed cool for most of the summer and now we are receiving some beautiful fall weather. Most farmers in our community are very happy to have this stretch of good weather to ensure that their crops are ready for the season’s first frost. I remember, clearly, 40 years ago in 1974 when our area had a very unseasonably early frost around September 8. The morning after that fateful night, immature corn was totally destroyed. The fields even smelled bad! It does not appear it will be a year like that, but crops are susceptible this time of year. Do you still have some tomatoes, peppers or corn in your garden? Keep hoping for some warm weather and keep the blankets handy to cover them up if necessary. Here is hoping for an amazing fall with a long stretch of Indian summer! 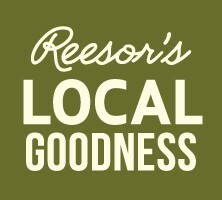 Do you want to know more about what’s new & fresh at Reesor’s in between our e-news updates? We post several times a week on Facebook about what’s happening on the farm, our bakery and kitchen. Even if you’re not “on” Facebook you can still look at our pages; you don’t have to be a “member” of Facebook. So, if you would like to keep in touch more often, you can go to both of our Facebook pages and see what’s cooking and growing.